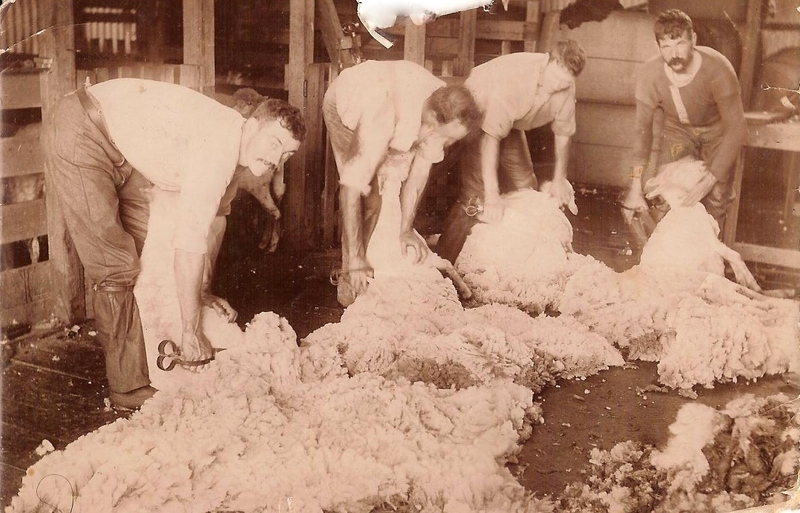 Heavy winter rains in the Western District and the South-East of South Australia left Casterton awash in 1906. 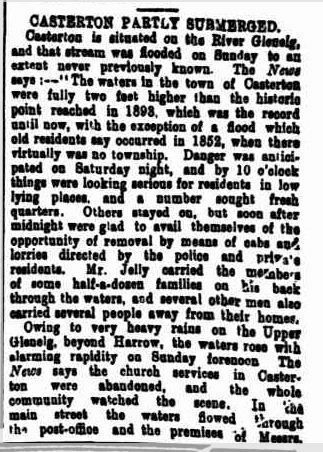 As reported in The Border Watch on July 25, 1906, the Glenelg River reached record levels and evacuations took place. There was also large stock losses. I am still working out which “Mr Jelly” carried people to safety. My ggg grandfather was George Jelly of Casterton, but he passed away in 1896. 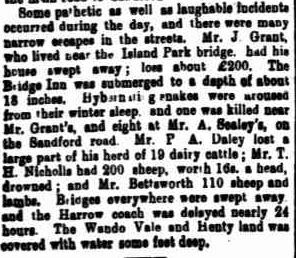 He had two sons still living at the time of the floods, William and John and they were both living in Casterton in 1906. This entry was posted in In The News and tagged Casterton, Glenelg River, Jelly. Bookmark the permalink.